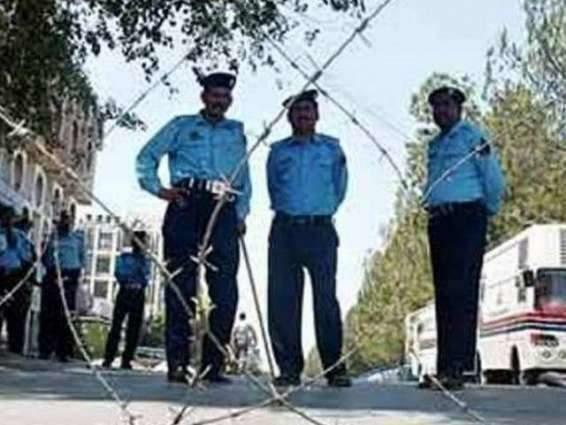 ISLAMABAD, (UrduPoint / Pakistan Point News - 16th Apr, 2019 ) :Aabpara police arrested a gang of street criminals comprising four members and recovered snatched bike, cash and other valuables from their possession, a police spokesman said on Tuesday. He said that a team headed by SHO Aabpara police station Sub-Inspector Ghulam Rasool succeeded to bust a gang involved in street crimes. The nabbed street criminals have been identified as Adnan Masih, Usman, Faisal Javed and Sani Masih while police team recovered snatched bike, cash, mobile phones and two 30 bore pistols along with ammunition from their possession. During the preliminary investigation, they have confessed their involvement in several incidents of street crime in the area of Aabpara and Khana police station. Further investigation is underway from them. Reshuffle in Punjab cabinet and bureaucracy on car ..
Pakistan cricket team’s activities from 20-22 Ap ..
Mohammed bin Rashid, Saud Al Qasimi attend wedding ..
Patron’s Trophy Grade-II, Round Two, Day Two Sum .. Cabinet Division issues final notification for app ..